ARC FLASH training is coming to Erie & Youngstown! You don’t want to miss this important class! 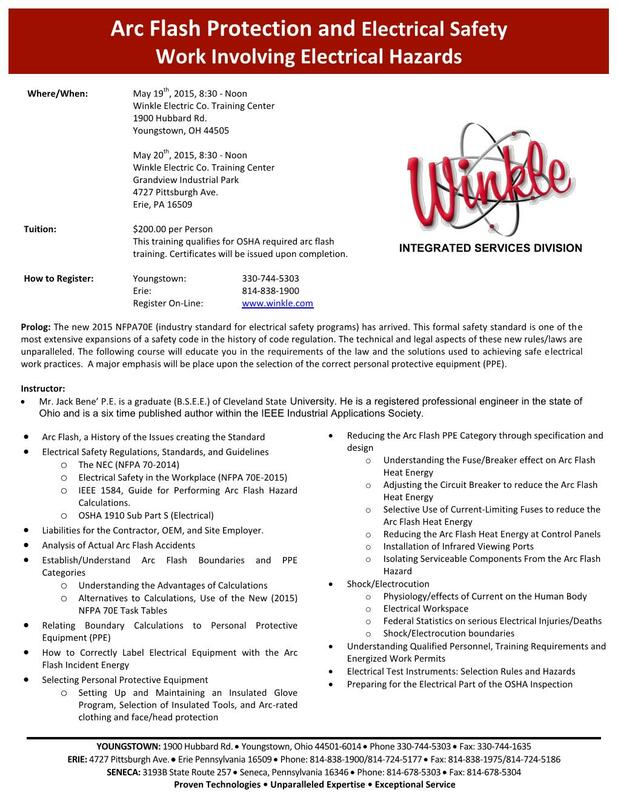 | Winkle Electric Company, Inc.
ARC FLASH training is coming to Erie & Youngstown! You don’t want to miss this important class!